The Second World War (1939-1945) saw many terrible developments in humanity’s history. Indeed, it was of course set against the backdrop of the wholesale destruction and planned extermination of whole groups of people because of their ethnicity, political allegiances or religious beliefs. The story of Nazi Germany’s aggression and the Allied Powers’ subsequent response – in a war that quickly encompassed much of the world map – is a story of power, technology and science. That same science lent its fateful hand to the aims of men and saw its terrible zenith in the horrors of the bombing campaigns of World War Two. Here we are not considering the equally horrific and never matched atomic bombing raids on Nagasaki and Hiroshima; rather, we speak of the meticulously planned and often prolonged campaigns that razed cities to the ground and devastated entire urban populations. Here, then, are the 10 most devastating bombing campaigns of WWII. 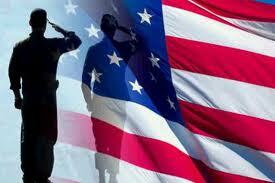 The Japanese suffered tremendous loss of life during World War Two. Their bitter conflict with the United States was a war of escalating violence that culminated in the humanitarian nightmare of Hiroshima and Nagasaki. 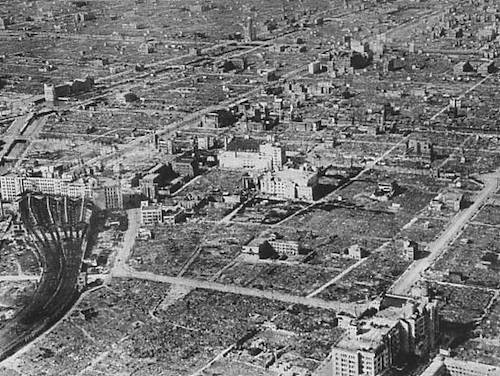 Yet, prior to the one-off use of atomic weaponry against those two cities, Japan’s major urban centers were subjected to an extensive strategic bombing campaign. Of these cities, Osaka was hit particularly hard, suffering more than 10,000 civilian casualties in the months of March, June, July and August 1945. The first raid of 13 March and the early morning of 14 March was perhaps the most intense and destructive of these sorties of destruction. 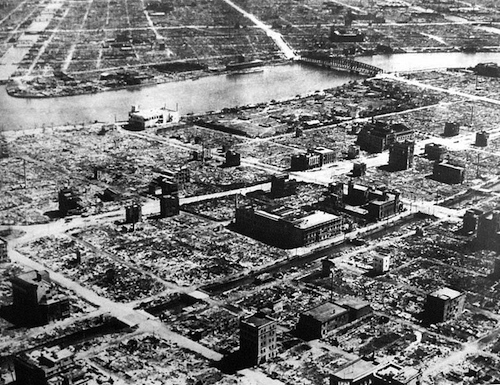 A total number of 274 American B-29 heavy bomber airplanes attacked Osaka on that night, leaving devastation in their wake. Napalm and incendiary cluster bombs were aimed at civilian housing by the low-flying bombers, and the chaos reigned for three-and-a-half hours. This single raid left 3,987 dead and 678 missing. The city of Kassel, in the region of Hesse, in west-central Germany, was subjected to an ongoing bombing campaign that began in early 1942 and went on almost until the end of WWII in 1945. 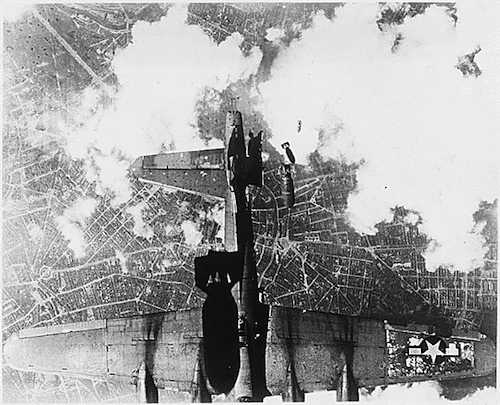 During the heaviest and most intense bombing raid, on the night of 22Ð23 October 1943, the British Royal Air Force deployed 569 bombers over Kassel’s city centre. 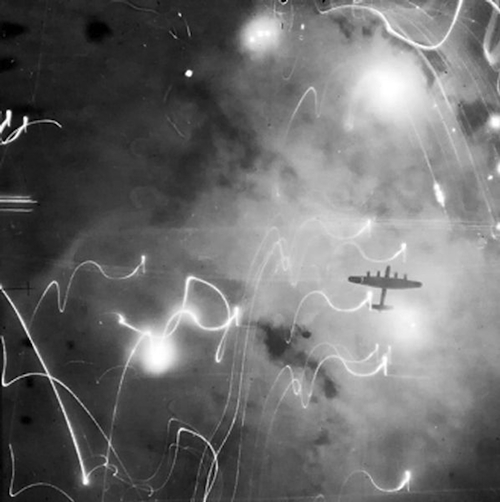 The concentrated explosion of 1,800 tons of bombs – incendiaries among them – resulted in a lethal firestorm. 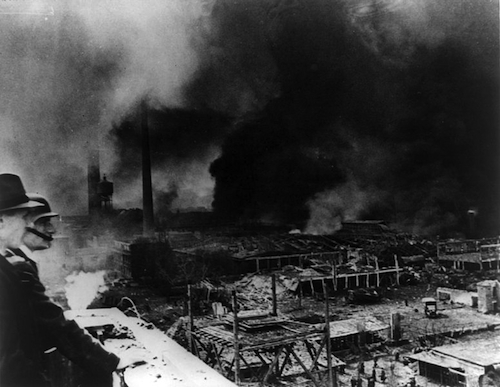 At least 10,000 people died in the explosions and ensuing fires, and the flames were still burning seven days later. The city was targeted so vehemently largely because of its important military-industrial sites: the Fieseler aircraft plant, Henschel tank-making facilities, railway works and engine works were all based there. When the Americans liberated Kassel in April 1945, there were only 50,000 inhabitants; in 1939 there had been 236,000. Towards the end of the war, Pforzheim, a town in the southwest corner of Germany, was bombed several times. The main reasons for the RAF attacks, as stated in a report dated 28 June 1944, was that the town was a center for the jeweler and watch-making trade and was thus likely to produce precision instruments useful to the German war machine. However, the town was not placed on the RAF’s target list until November 1944, and the main raid did not take place until February 1945. It has been suggested – by historian Detlef Siebert, for one – that Pforzheim was mainly targeted because it was easy to locate and contained a medieval city center susceptible to fire. In any case, 379 British aircraft took part in the February 23 attack, which in a terrible 22 minutes (from 19.50 to 20.12) destroyed 83 per cent of the town’s built-up area, killing 17,600 inhabitants and injuring thousands more. The inner city areas were more or less completely depopulated and the town ravaged as a result of explosions and deadly burning phosphorus materials. The Polish city and port of Swinoujscie suffered extensive bombing at the hands of the US Air Force in WWII, and all in just one day. On 12 March 1945, the German-controlled city, which numbered many refugees amongst its population, was heavily bombarded. It has been estimated that between 5,000 and 23,000 people lost their lives in this extremely destructive raid. The exact figures are difficult to ascertain because Ð as in many other parts of the world at the time Ð much of Eastern Europe was in total chaos as the war drew to a close. 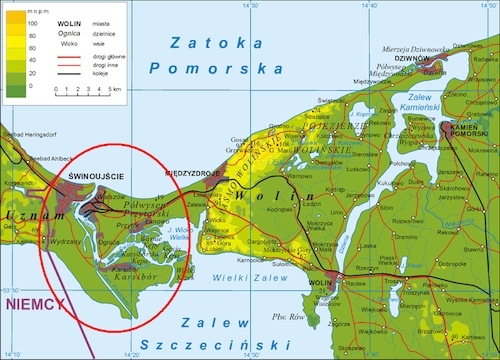 Following the end of the war, Swinoujscie – formerly known by its German name of SwinemŸnde – was repopulated by Poles, and has remained part of Poland ever since. 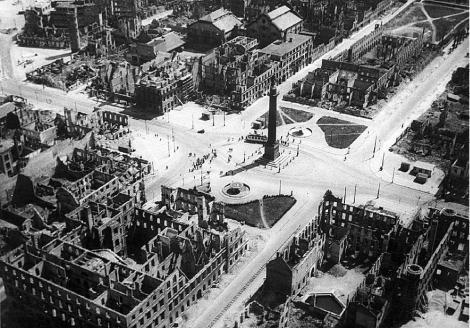 The German capital endured a prolonged period of strategic bombing that lasted for almost the entire duration of the war. In total, Berlin was the target of 363 air raids between 1940 and 1945, from the airplanes of the British, the Americans and the Soviets. From 1939 to 1942, the RAFÕs policy of only bombing buildings of direct military importance was slowly supplanted by the new strategy of “area bombing” – that is, the bombing of housing and civilian centers. While the death of civilians was never explicitly recognized as its aim, the results of area bombing were inevitable. Between 20,000 and 50,000 Berliners lost their lives in the sustained bombing of World War II, and many times more people were left homeless. 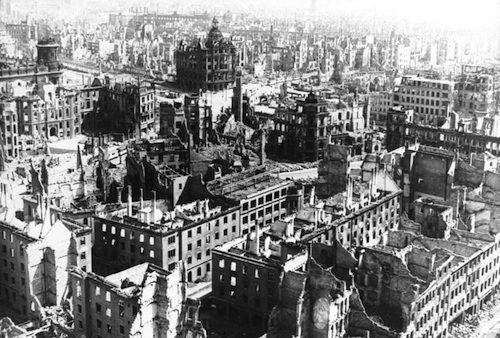 Dresden, Germany’s seventh biggest city at the time of the Second World War, and an extremely important industrial centre, experienced one of the most severe bombing campaigns seen anywhere up to that point in time. 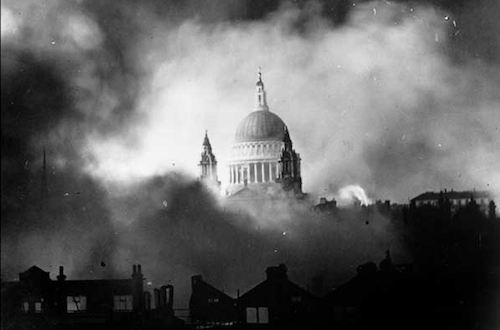 During the most intense period, from 13 to 15 February 1945, 1,300 bombers from a combined RAF and USAAF force dropped more than 3,900 tons of high explosives and firebombs upon the beleaguered city. Fifteen square miles of the city center were utterly destroyed by the devastating firestorm that swept through the streets – the hot winds driving people back into the deathtraps that were their houses. The death toll was publicized to be as high as 200,000 by the Nazi-controlled German press in 1945, but subsequent estimates, including one supported by the city authorities in 2010, put the figure at 25,000. Even so. Much like Berlin, Hamburg experienced ongoing periods of bombing throughout most of the war. 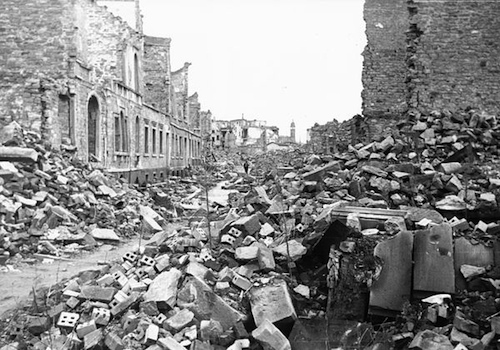 The city was a significant target for the Allied bombing attacks owing to the fact that it was an important port and industrial center and the site of major German shipyards and U-boat pens. The most severe bombing raid on the city came from a combined force of British and American bombers during the last week of July 1943. Operation Gomorrah, as the bombing mission was named, all but obliterated the entire city. The severity of the bomb blasts, which continued for eight days and seven nights, created a deadly “feuersturm,” the feared firestorm that reduced over eight square miles of the city to ashes. Some 3,000 aircraft took part in the raids, which left 42,600 dead and 37,000 wounded. It is estimated that a further 1,000,000 civilians fled the city. In total, 9,000 tons of bombs were dropped in an operation of such scale and force that mainland Europe had never seen the like of it before – nor has indeed since. The major strategic bombing of Japan by the USAAF began in November 1944 and continued until Japan’s surrender on 15 August 1945. The US had previously executed a minor bombing raid on the Japanese capital in April 1942; this early effort gave America a victory in terms of morale, but the bombing did not begin in earnest until more than two years later. 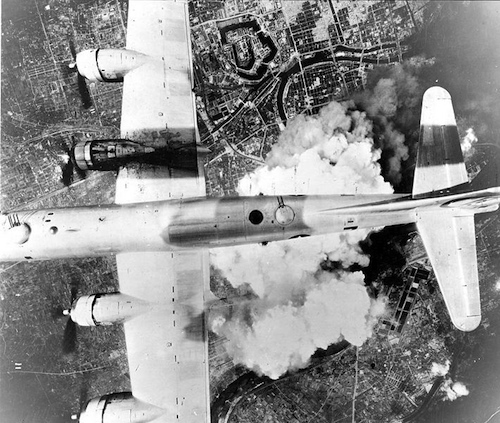 When the powerful B-29 Super Fortress bomber came into service, the Americans made full use of it, putting its capabilities to extensive use over Tokyo. In fact, nearly 90% of the bombs that fell on Japanese home soil were dropped by B-29s. Of all the sorties over Tokyo, the raid of 9-10 March 1945, codenamed Operation Meetinghouse, was the most significant, and indeed is considered the single most destructive bombing ever. Around 1,700 tons of bombs fell on the city, destroying an estimated 286,358 buildings – made largely of wood and paper – and killing an estimated 100,000 citizens or more in the resulting firestorms. When the 1,000,000 injured and made homeless respectively are added to this figure, one begins to get a small sense of the sheer scale of destruction witnessed on those terrible nights of 1945.